We are not authorized to sell this MvTec product in your country or region. Please see MVTec's partner network for a local distributor. MVTec HALCON is one of the leading software libraries for industrial image processing (Machine Vision) that is used worldwide. The system is multiply deployable due to its compatibility to the operating systems Windows, Linux and macOS. The full library can be accessed from common programming languages like C, C++ and .NET languages like C# or VB.NET and can thereby be integrated easily into any type of application. Furthermore it enables the portability to other non standard operating systems or the integration into new programming environments by its flexible architecture. The integrated development environment HDevelop facilitates rapid prototyping which means cost and time saving. Besides outstanding performance and GPU acceleration HALCON provides more than 2,000 operators to solve various tasks in an industrial context. Methods for blob analysis, a large variety of matching technologies, morphological operations, models for classification and measuring algorithms only present a small part of the extensive functionality of HALCON. 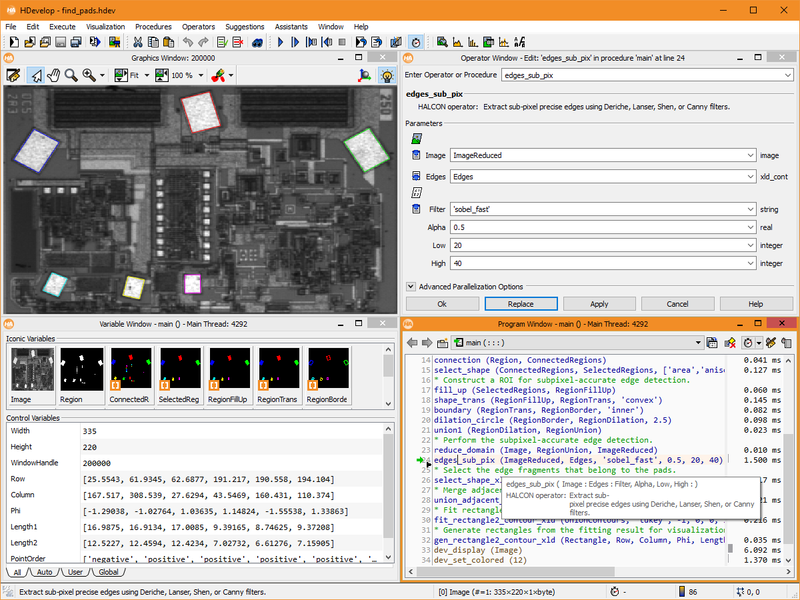 The software guarantees hardware independence by providing interfaces to hundreds of industrial cameras and frame grabbers, in particular by supporting standards like GenICam, GigE Vision, and USB3 Vision. 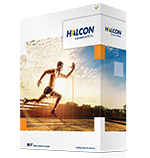 Learn more about the functionality of HALCON, the different editions and deep learning technologies in HALCON. We offer both standard training courses on specific topics as well as customer-specific trainings for HALCON and MERLIC. If you are interested in a training, take a look at our portfolio of trainings and the current dates. 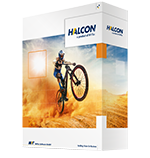 MVTec's software solution HALCON offers the full set of standard machine vision technologies. Beyond that, HALCON provides many unique features. SDK only usable as long as the subscription is valid. Access to all releases during a valid subscription. Buy once, use forever. Release cycle: Approximately every 6 months, major new features in each release. Approximately every two years, only bug-fix and maintenance updates. Access to new features: Every 6 months with each new release. Every two years with every major release. Support: Support, as long as the subscription is valid. Long-term support. Runtime license upgradability: Free upgrades for two years. Upon request. The first HALCON 18.11 Steady - HALCON 18.11 - is planned for November 30, 2018 and will be accompanied by a discount campaign. We will be happy to help you choose the right edition for you. Simply contact us via our contact form.